Moms, teens, people in business, suave and innovative city dwellers, and humble yet tough rural folks all have one similarity that links them as residents of society; each one of them desires to drive the ideal car for their lifestyle. They also all relate to the frustration that comes from going on that voyage from dealership to dealership. Everyone wants the newest and most modern car on the lot today, but being local, buying Atlanta Used Cars can actually make your life simpler while saving your wallet from some seriously unnecessary damage. The key to buying used cars is often just knowing where to start, and there is no better place to get a quality used a car than the great city of Atlanta, Georgia. Atlanta is the shining city capital of the great state of Georgia. 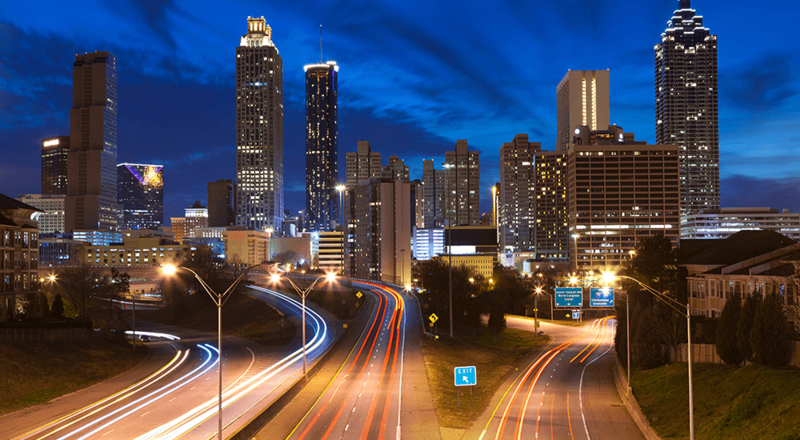 Mixing southern charm with urban innovation, Atlanta is rich in technological, cultural, and natural landmarks. The CNN Center gives you a front and center behind-the-scenes look at one of the largest television networks in the entertainment-centric United States. The Centennial Olympic Park is a natural landscape that once hosted the 1996 Olympic Games and has been transformed with walking paths, water gardens, and the majestic Fountain of Rings. Along with those Atlanta, Georgia is also home to one of the nation’s prevalent aquariums, zoos, theatres, and historical museums that highlight the big role Atlanta played in the Civil War. Whether Atlanta is your home, a quick trip away, or just a place you happen to be passing through, it truly is a brilliant city that knows how to blend city innovation and rural charm. Atlanta may be a city, but it has never forgotten its Georgia roots. These blended values make Atlanta an ideal place to get a used car that you know will be sure to have rural sturdiness with city passion and quality control from both ends. Also, the customer service of Atlanta used car dealerships is known for its high standards when it comes to keeping a friendly country attitude, with resourceful city knowledge. There are many reasons you should invest in Atlanta used cars over something new; the clearest being the cost. New cars will often cost you thousands more than a new car and it is difficult to even come up with a logical reason why it’s worth it other than being able to brag about how new it is. A new car will depreciate in value literally the second you drive it off the dealership lot. This is something you never have to worry about with a used car. Basically, you are paying thousands more to get a new car that will technically have a used car value before you can even hit the highway. Another thing to note about buying used cars is that you get a much wider variety of possible cars. Chevy or Buick will only promote their latest models manufactured within the last year or so, but an Atlanta used car dealership will offer you some cars from a diversity of years giving you more choices, which leads to a greater likelihood of satisfaction. Finally, a common misconception about used cars is that they are low-quality from being preowned by an unknown source, but that is often not the case. A good dealership, such as the ones in Atlanta, will always abide by the strict laws of the automotive industry to care for their every one of their used cars before selling them. This includes carefully recording all essential information like mileage and maintenance history and cleaning the car from the inside out. If you are still concerned about quality, there is never any harm in asking for this information upfront. A well used dealership will never fear automotive curiosity since they only desire satisfaction and a respectable sale. Chevrolet had fourteen of their vehicles models listed, Ford has ten, Buick, Nissan, and Jeep had five listed, Hyundai had three, Subaru and Tesla had two, and Toyota only had one and Honda has zero. Buying a used car will always come with some hesitation, but the more you consider the benefits, the more you will realize there is no good reason not to head over to an Atlanta used car dealership to check out their selection of vehicles. It is more cost-efficient, selection friendly, and easier on the mind. Don’t let the flash of a new car blind you when your dream car can be right around the corner in the nation’s friendliest innovative city. Give Atlanta used cars a chance!